eSports is a form of competition using video games and takes the form of organized, multiplayer video game competitions, particularly between professional players. Some of the most common video game genres associated with eSports are real-time strategy, fighting, first-person shooter (FPS), and multiplayer online battle arena (MOBA). During gameplay, players battle for reputation, prize money and sponsorships similar to a motorsports competitor or professional fighter. Esports events are throughout the year in 2018. The wide range of tournaments throughout the year including The International, the League of Legends World Championship, the Evolution Championship Series and the Intel Extreme Masters. These tournaments provide live broadcasts of the competition which has helped the sport grow and become one of the fastest growing competitive sports in history. With that being said, for 2018, the Esports events are intense and there are some highly anticipated events scheduled for the first part of the year. Let’s take a look at some of them now. The Hi-Rez Expo was a four-day event created to celebrate the eSport communities, teams, cosplayers, and fans who make Hi-Rez Studios’ games great. This year’s event featured more eSports championships including the SMITE World Championship and SMITE Console World Championship are joined by the Paladins World Championship, Paladins Console Wars, and the Hand of the Gods Founder’s Tournament. DreamHack Leipzig is a three-day gaming festival featuring professional eSports tournaments, the latest hardware and software from the DreamExpo and Germany’s largest LAN party including many stars and starlets of the eSports community. The Esports BAR is a productive 3-day experience where game designers, competitors and more focus on brokering sponsorship deals, negotiating broadcasting licensing and exploring new marketing opportunities. Dota 2 is a competition worth $1,000,000 and it will bring 16 of the world’s best Dota 2 teams to Poland for the fifth Major of the 2017-2018 Competitive Season. 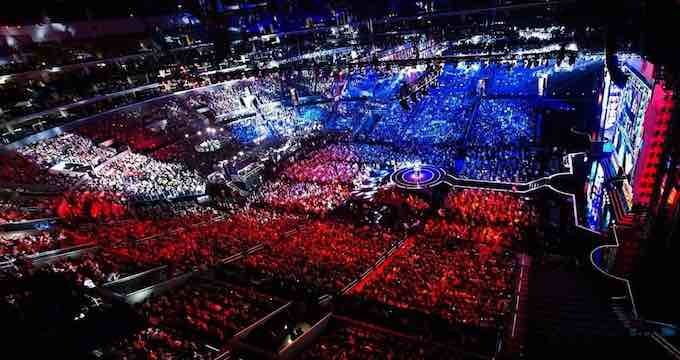 One of the biggest Esports events on the annual calendar. The Esports Insider Super Forum (#ESIForum) focuses on the convergence of traditional sports and eSports. Covering such issues as investment in teams and leagues, guidance on where the key opportunities exist and how to go about making the most of them, sponsorship and examples of brands doing well in eSports, the situation with media rights and broadcasting and more, the Esports Insider Super Forum is one of the largest and most important events in the eSports industry.